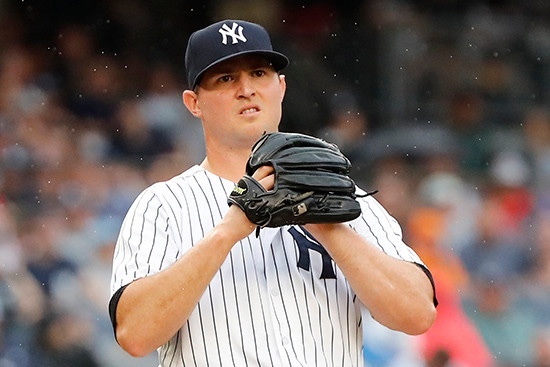 Highly coveted reliever Zach Britton has signed a deal with the Mets cross town rivals. The Mets have had discussions of possibly signing Britton to strengthen the bullpen, especially a strong left handed presence. However, Britton proved to be outside of the Mets price range and it probably makes more sense to delegate that salary amongst two players as opposed to one. Britton will likely be used as a set up man for Ardolis Chapman after inking a three year deal worth $39M with an option to earn $53M on a fourth year. One interesting caveat, Britton has the ability to opt out of his contract after his second year as opposed to the third. This will likely work in Britton’s favor, if he’s lights out, he will opt out and demand a longer contract and if he levels out to be an average reliever, he can continue to collect his hefty paychecks signed by the Steinbrenner’s. In 2018, Britton appeared in 41 games with a 2-0 record over 40.2 innings while striking out his opposition 34 times. In his career, Britton owns a 3.21 ERA, striking out 446 over 331 games, tossing 541.2 innings and recording 142 saves. Majority of which came while wearing an Orioles jersey, he then spent half of last season in the Bronx. It’ll be quite interesting to see what the Mets next move is, will it be centerfield? Or a 3rd baseman? And maybe even another reliever. However to be perfectly honest, I think Daniel Zamora has John Franco like abilities and I’m confident that he’s MLB bound for a several year stretch.